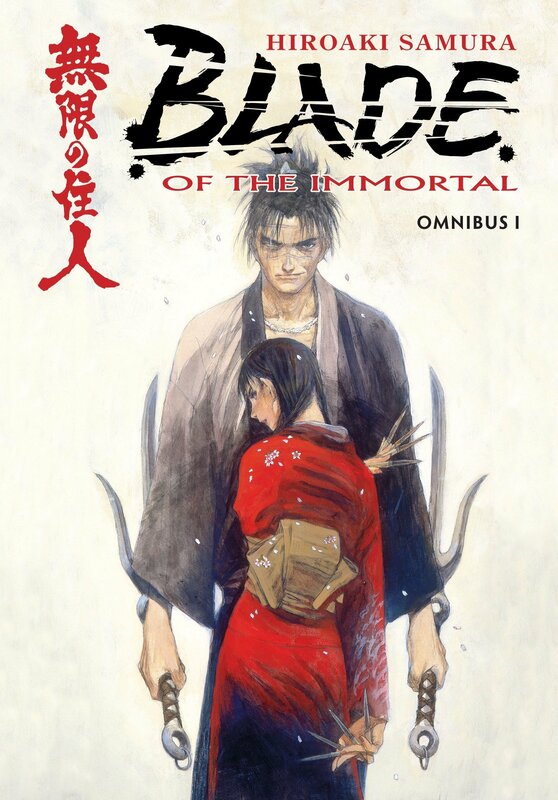 This combination of the opening three Blade of the Immortal graphic novels is a value for money introduction to a fascinating saga set in the feudal Japan of the 17th century, but providing only a hint of where this compelling series heads. Although the central relationship is formed early, it’s the Ittō-ryū sword school we see first, and its founder Anotsu Kagehisa will become the series’ most fascinating character. 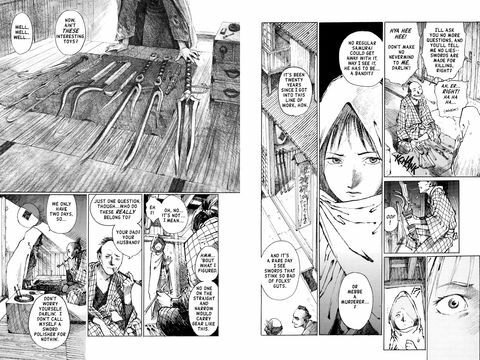 That’s because Hiroaki Samura explores shades of grey like no other creator. By the end of the tenth omnibus there’s not a single character who’s not been morally compromised in some way. People are supplied with justification for what they do, desperation in some circumstances, but this complex investigation of human behaviour and honour leaves no-one unstained. 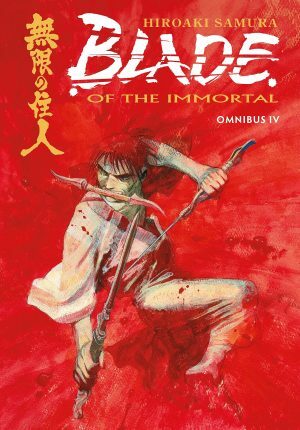 The immortal of the title is Manji, an expert swordsman with a sardonic outlook, who’s recently come to feel he needs to make some form of restitution for all the people he’s killed, concluding that killing a thousand evil men will suffice. As part of his penance he doesn’t take much persuading to act as protector for the sixteen year old Rin. Two years earlier she saw her family murdered by the Itto-ryū and has vowed revenge. While he bears the scars of previous combat, Manji is immortal due to a gruesomely imaginative process involving worms that instantly restore him to health now matter how seriously he’s cut, and the implications and limitations of that are investigated later in the series. 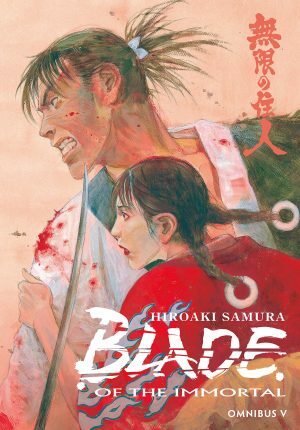 Blade of the Immortal straddles a fascinating line between traditional manga and Western influence. Samura deliberately writes his dialogue in the modern idiom, using contemporary phrases rather than a contrived form of old fashioned language, and that’s surprisingly refreshing. It’s also not too great a leap to equate the characters with superhero comics. 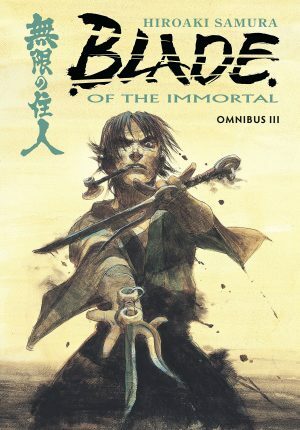 Samura creates a memorable array of grotesques, others using very distinctive and individually designed bladed weapons, an under-appreciated aspect of the series, and fight scenes are integral. These can occupy many pages, a sword fight toward the end of this collection running to over eighty, with Samura gloriously choreographing the impossible with a balletic grace. This is extraordinarily violent, so much so that at times you’ll be glad this is no colour graphic novel, and that equally applies to scenes that might otherwise be more likely to be found in a horror series. 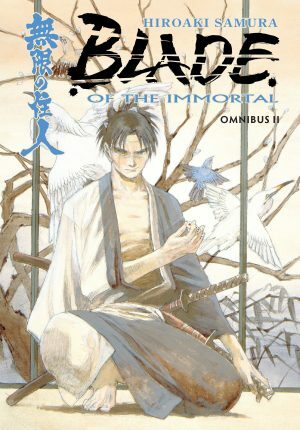 Perhaps the most astonishing aspect of Blade of the Immortal is that it’s more or less Samura’s first series, the shifting moral complexity and fully formed art introduced when the creator was just 23. It’s so accomplished that this is almost beyond belief. By the end of the book the format has been established, with the attention wandering away from Manji and Rin as it so often does, in this case to focus on the tragic Makie, who’ll be sparingly used during the series, but has a significant impact every time she appears. If preferred, these stories can be found as Blood of a Thousand, Cry of the Worm and Dreamsong.